There is one trend that I've seen around on many bloggers that I am completing falling fast for. 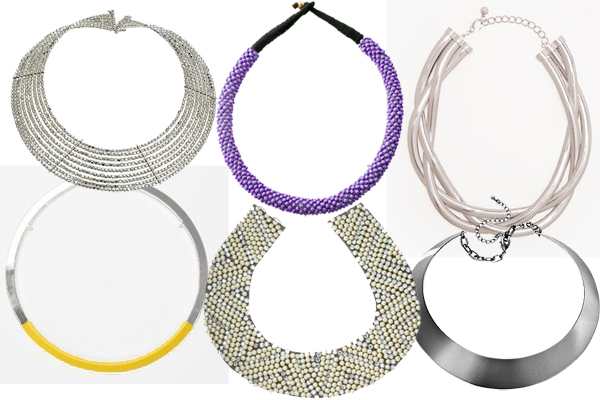 The collar necklace trend. Sure, having a round hard metal circle round around your neck gives off a hard feel but with subtle details like pearls, studs, cutouts, or texture it adds a softness that you can't help but notice. Being on a limited budget I can't afford the luxe designer necklaces that some bloggers have been sporting. But I did find a bunch of budget-friendly chic looking necklaces that are similar to the designer brands all for under $35! How do you feel about the collar trend? 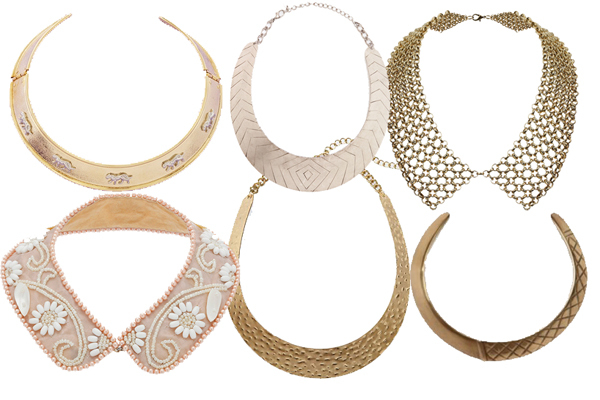 I lov e a good chunky collar and these are all stunning! Wouldnt know which to choose! OMG...i am OBSESSED with that mesh collar from topshop! SO SO cute. loving the neon urban outfitters one as well! great finds!! !